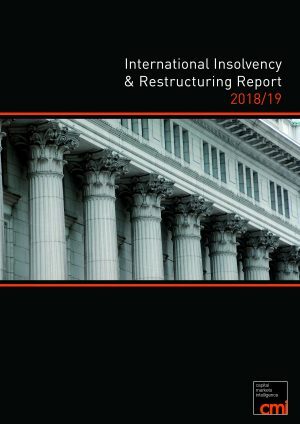 The International Insolvency & Restructuring Report 2018/19 provides a global guide to the insolvency and restructuring marketplace. The Report features reviews including coverage of the following jurisdictions: Australia, Cayman Islands, China, Hong Kong, Japan, Mexico, Netherlands, Singapore, Spain, Switzerland, UK and USA. A special feature by Alan Bloom, President of the International Insolvency Institute provides a global overview of international insolvency and restructuring discussing the latest trends and issues. The International Bar Association is delighted to provide you with preliminary conference details for the 24th Annual IBA Global Insolvency and Restructuring Conference. This event will take place on 6-8 May 2018 at the Rode Hoed in Amsterdam, the Netherlands. Topics include: The brave new world of blockchain, cyber currencies, and smart contracts, and their impact on insolvency law; Mediation of cross-border insolvency disputes; The long arm of insolvency proceedings: the extraterritorial reach of domestic avoidance provisions.